We are excited to announce that we will be delivering whole workforce training and engagement through the i-fm Award winning UhUb platform. As part of our commitment to delivering consistent and high quality training throughout our workforce, we have recently taken the decision to invest in the UhUb platform to complement our existing BICSc training. Within the industry, UhUb is unrivalled in its use of technology to deliver our core training modules to every single member of staff. Whilst UhUb is marketed as ‘whole workfoce training’, the reality is that the system provides much more than that. In addition to instant access training videos, the system also allows us to engage with staff at all levels and reward those employees who are continually hitting our training targets. In addition to the training modules being completely industry specific, all training content is approved and endorsed by City and Guilds, with future certification in the pipeline. Our company can now truly demonstrate that all staff are trained to the same, consistent high standards that we at DOC Cleaning pride ourselves upon. Using the comprehensive reporting functionality, we can instantly view the performance at Region or Site level, and provide the personalised support where required. We feel that the innovation provided by UhUb is a huge leap forward for the industry and look forward to a long and successful partnership. It’s a great team at DOC, and so far, I have enjoyed all my time there, so I am personally looking forward to this relationship. To be fair that’s true of all our clients, as they all seem to be on the same wave-length when it comes to walking the walk on staff Training and Engagement, as well as promoting, selling, and providing a truly quality service, rather than racing to the bottom. 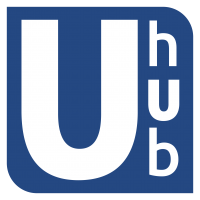 DOC is an exemple of that approach and is already contributing to UhUb’s constant improvement, in both function and content. This shows that they are about more than just them, it shows that they have a wider view and want to uplift the sector as a whole. They are leaders and we are pleased to be working with them.